I just jumped on the Frankie lovin' bandwagon! 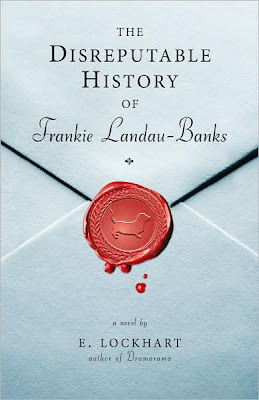 The Disreputable History of Frankie Landau-Banks by E. Lockhart has been getting lots of love. It just won a Cybils award in the YA fiction category, it was a Printz Honor book, and has many more accolades. Also John Green has said it was good for a long time. Set in the present day (a wax sealed envelope might lead you to believe otherwise) this is the story of how Frankie proves that she (yes, she; the name Frankie might lead you to believe otherwise) is a very powerful woman. You see, Frankie's family underestimates her. Yes, she is gorgeous, yes she is young. But she is also smart and capable. I related very well to Frankie (gorgeous, young, smart, capable -- what can I say?) the main difference between us being that my parents never called me Bunny Rabbit. And don't let me forget to mention there is some delicious romance in this book. Because it would be dishonest of me to say that I didn't bite my lip wondering what would happen with that crush from afar. But what makes the book so good is that goes further than all these little plot elements (romance, proving you're smart) and delves into the human psyche. Oh, also, the panopticon is awesome. Okay, read it now so we can talk about it! First 17 pages here. So "Dolly Cakes" isn't a good enough substitute for "Bunny Rabbit"? I had a great time reading this and couldn't put it down once I got started because there were just too many familiarities -- the Wodehouse books for one thing. I read little bits of it to JMS and when I tried to read more to him and Jared, he refused to listen insisting that he be allowed to read it himself -- we'll see, its on interlibrary loan. Anyway I thought it was great fun but I have come away slightly disappointed nonetheless. I really wanted Frankie to be smart enough to figure out how to be more effective at her attempts to be "delible". 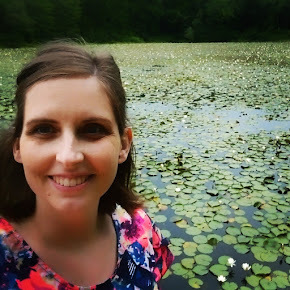 It was great to follow the inner workings of her mind and see her motivations for doing things. But it would have been more satisfying if she had discovered some acceptable avenue that did not require compromise, or manipulation. I'll cut her some slack though because she is only in High School, so far. I stayed up till one to finish it.